0:50 – Jason introduces this episode’s guest, Sankarshan Murthy, the founder of Bumblebee Spaces – a startup introducing new ways of occupying space in our households, using AI and volumetric spaces in our households. 13:09 – Sankarshan continues to explain the mechanics of the technology to Jason. Railing systems are input into joists (which are all within building code), that allow for the robot slides to be input and operate. 14:04 – Jason inquires about the technology being used, namely the computers involved, and what their purposes are. 17:41 – Thanks to our sponsor, Linkedin! 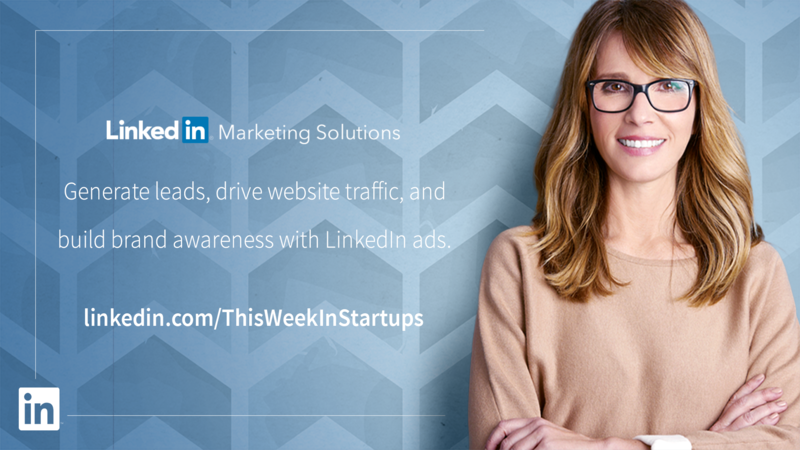 Gain $100 in Linkedin credit by going to www.linkedin.com/thisweekinstartups. 19:47 – Does this technology exist anywhere else in the world? What products are similar to Bumblebee? This technology is mainly found in industrial warehouses/plants, never in residential homes! 21:08 – Sankarshan explains the business model that they will be using. “Robot as a Service” business. 24:45 – Sankarshan explains what information they share with bumblebee users upon their first use, primarily the use of sensors and what they are used for, and what information that is collected remains private. 28:27 – How defensible is this business? Jason investigates how easy it could potentially be to replicate the technology. 30:58 – Where can people learn more? Visit www.bumblebeespaces.com. Forms to apply for this new technology can be found on the website! 33:14 – Jason meets with Andy Rebele, founder of Pure Watercraft, to check out one of the first ever electric boats. Jason inquires about the wake created by an electric boat, in comparison to a gas-fueled one. 36:37 – Jason explores the timeline and possibility of replacing all large, gas burning boats, into electric. 38:40 – Using Tesla’s early struggles as an example, Jason asks Andy how they plan to make a business out of electric boats. 41:00 -Andy shares his history working in tech and startups, as well as explaining how funding for PureWater Crafts was accumulated. 45:02 – Andy and Jason converse about pollution, particularly from boats – and what we need ot be thinking about when it comes to the future of our modes of transportation. 47:31 – The Launch Scale conference is taking place Oct 10th – 11th in San Francisco, and there are 1000 free tickets up for grabs for founders to get their hands on! Visit http://www.launchscale.net/tickets to apply for a ticket. Interested in speaking at the conference, to share knowledge with those in attendance? Visit launchscale.net/speaker-application/ to apply to speak!